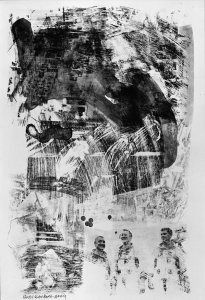 In the early 1960s, NASA administrator James Webb initiated a new arts program giving invited artists special, behind-the-scenes access to to NASA’s Cape Canaveral space center in Florida. 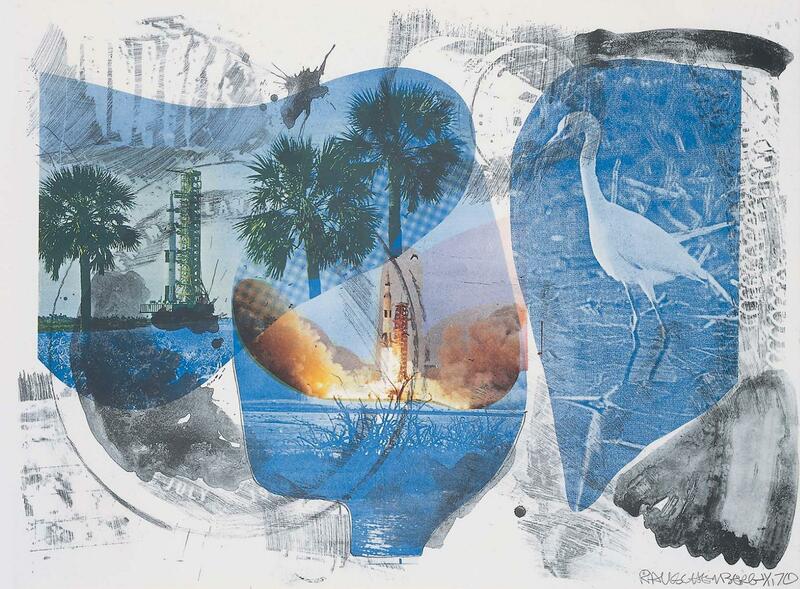 In July 1969, Robert Rauschenberg (1925–2008), one of seven artists in the program, was present for the launch of Apollo 11, the first of America’s manned space flights to the moon. 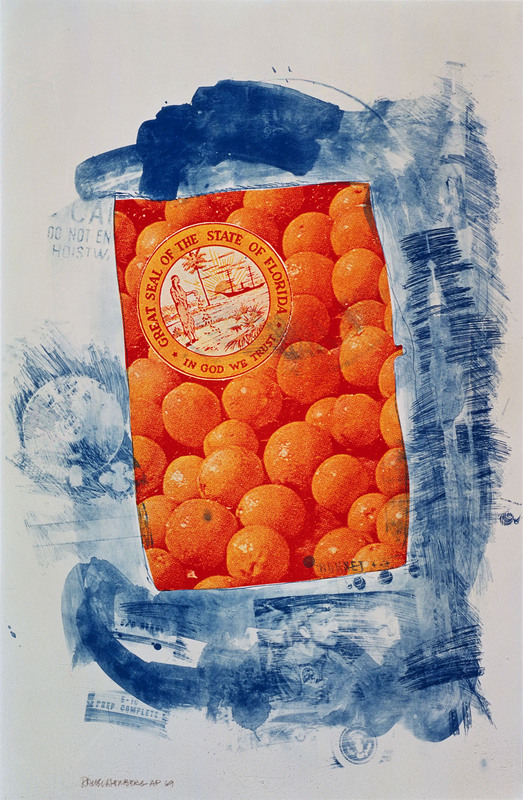 Known for his interest in technology and works featuring boldly painted abstract gestures in juxtaposition with photographic images taken from the media, Rauschenberg went on to produce an extended series of innovative prints and drawings based upon his NASA experience. 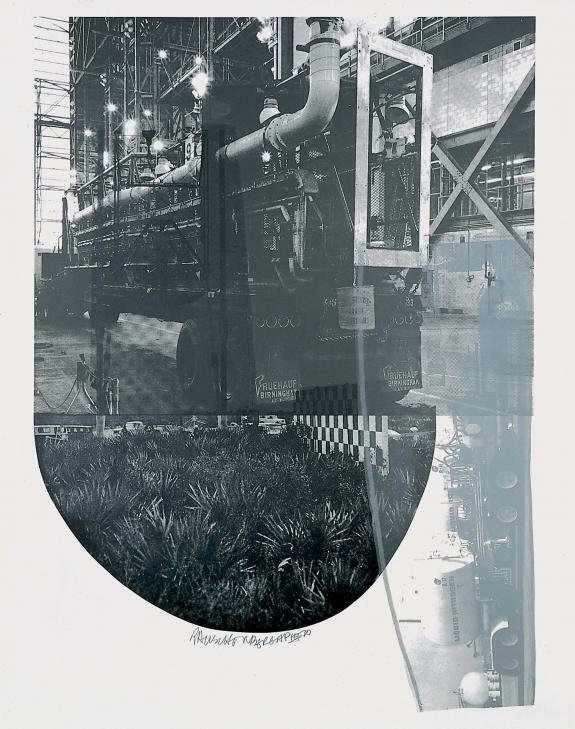 The works in his Stoned Moon series not only incorporated official NASA photos, press releases, diagrams and documents, but also images that referenced the histories of astronomy and flight, Florida’s tropical locale, and the sense of urgency fueling the United States’ efforts to beat the Soviet Union in the Cold War’s space race.